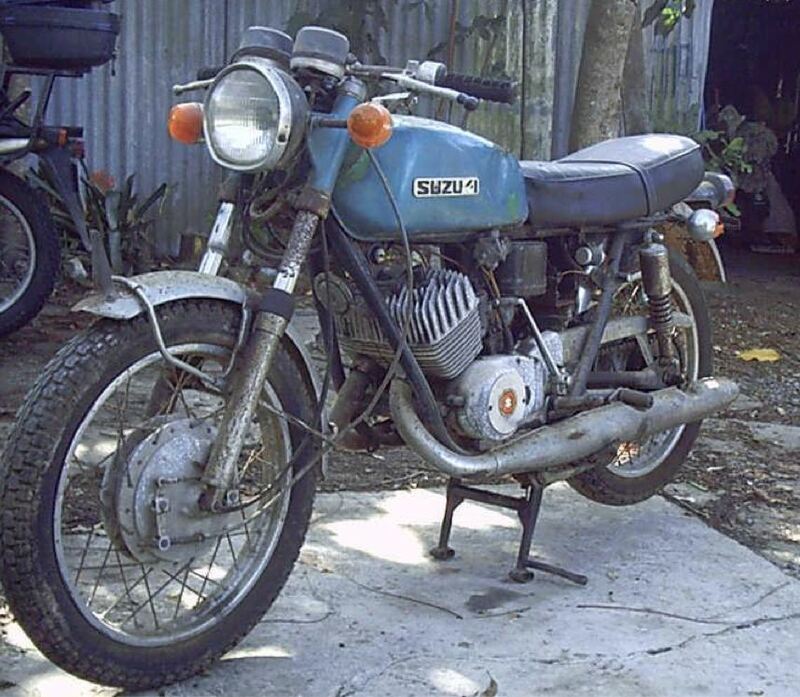 1971 Suzuki T350 Rebel. 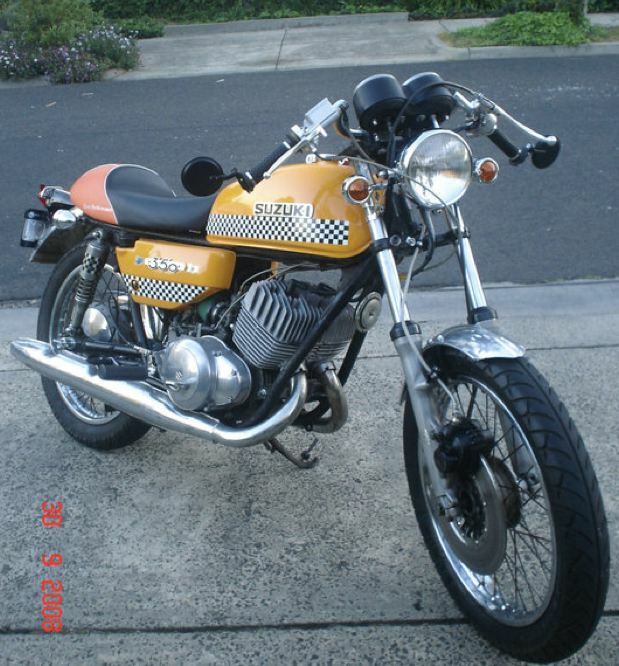 I bought this bike in early 2004, I had it only about a month and then road it to a VJMC rally in Berry NSW covering about 3000K's. Pic above of how the bike arrived to me, people at the time said I was nuts and it would never make it to Berry, they were wrong of course, it did it easy. 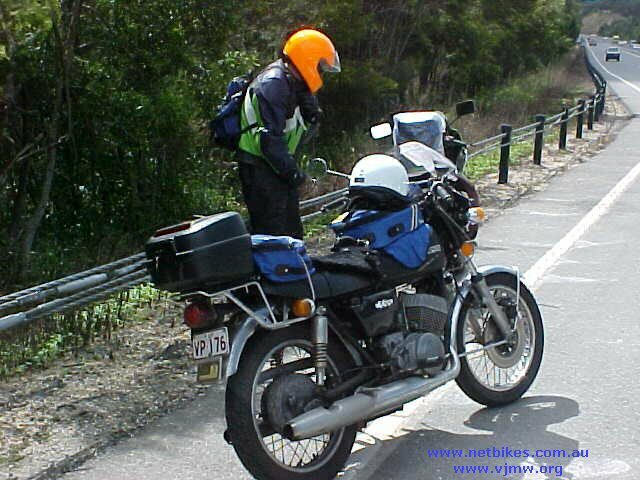 Here is the bike on the way back from Berry, the only issue I had was a flat rear tyre, lucky that was actually in Berry and not in the middle of nowhere. Okay so you might note bike has a disc front end now, well I had little time to prepare the bike and to hard chrome the front legs was a three week wait. 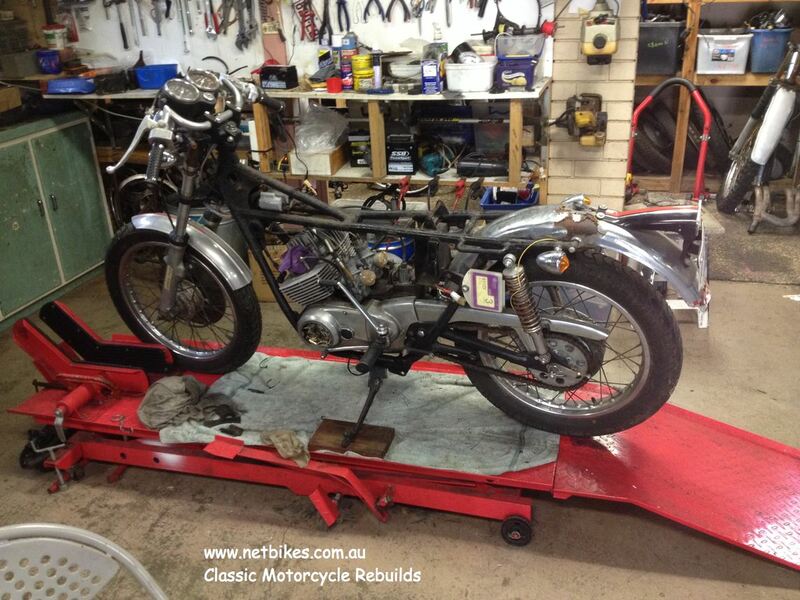 I had GT250 forks here and fitted those and a GT250 tank because the T350 tank was filled with rust. Apart from that the bike was serviced up with new tyres, chain, etc, clean carbs and the timing/tune treatment and away we went. Some time after the rally the right crank seal was replaced, you can do that without splitting the cases and it got new pistons and rings. I think the crank is still circa 1971. Fast forward to 2008. I sold black beauty to another VJMC member, he wanted a mild cafe look, the bike was pulled to the ground, motor wise it got a new top end as said above and barrels and heads bead blasted. 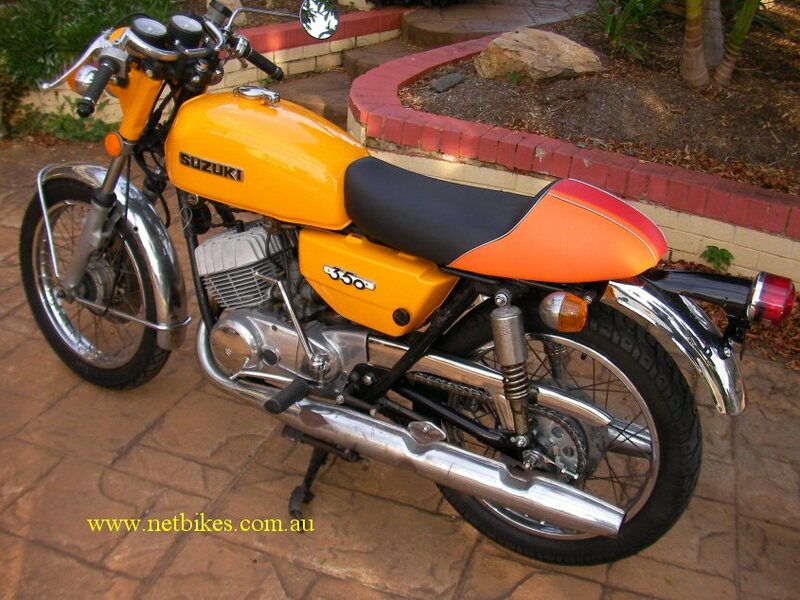 New orange paint which turned out more yellow than orange, I rechromed the rear guard and chain guard, added ace bars and the new owner supplied the seat, it is on the original base. Neither of us was too happy with the paint colour but it was going to have to stay that way for a bit, bike was off to another VJMC rally, Mt. Tamborine QLD, with the new look. After the rally the bike went to its new home 1800K's away and owner gave it a few more personal touches, different front guard, smaller headlight, different indicators, Instruments off a GP125, different brake master cylinder with braided line and the check decals. You can see better in this picture the orange that is not orange. 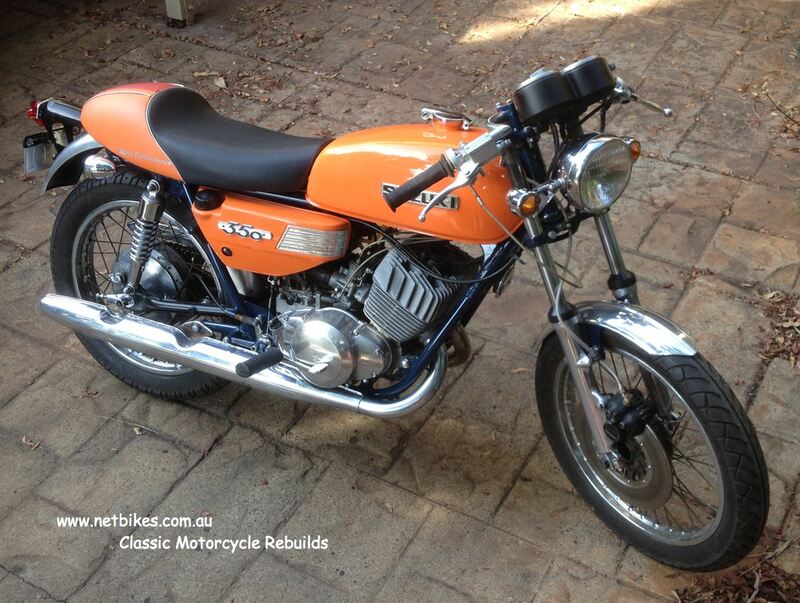 Forward on to 2015 and the owner sends orange 1800K's back to me asking that I refurbish it again. Just look at that rear guard, how does that sort of rust happen eight years after it was rechromed when the bike is garaged indoors? 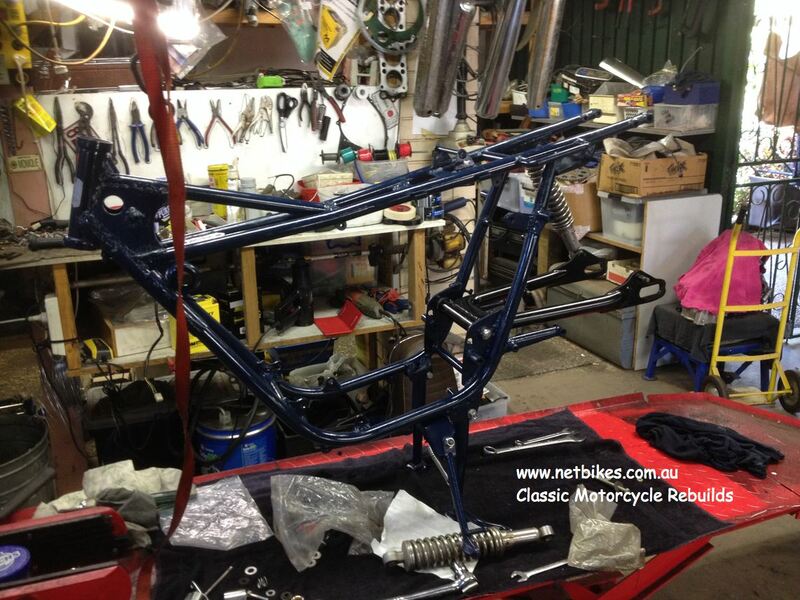 Yes, stripped to bare frame again :), painted a nice royal blue, tank and covers repainted in the correct orange, everything else cleaned up and serviced.